13 QUICK THOUGHTS: The Megos That YOU Want From FIGURES TOY CO.
Home » ACTION FIGURES & MERCH » 13 QUICK THOUGHTS: The Megos That YOU Want From FIGURES TOY CO. The results are in: These are the figures that fans are most interested in seeing from the purveyor of modern DC Megos. 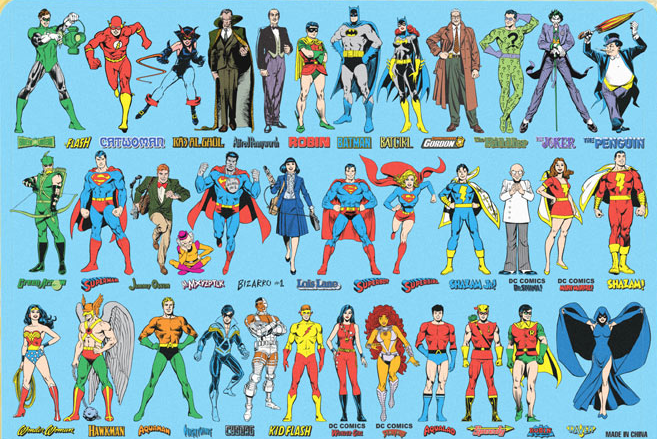 A few weeks ago, I drew up a list of the 13 figures that I most wanted to see from Figures Toy Company, the latter-day Mego factory. I was really curious to see what you guys most wanted, so I asked for your input. Well, the response was pretty great. Since this was hardly a scientific survey, I’m not presenting a vote count. But I went through all your suggestions across a wide array of platforms and noticed some distinct trends and some compelling ideas. 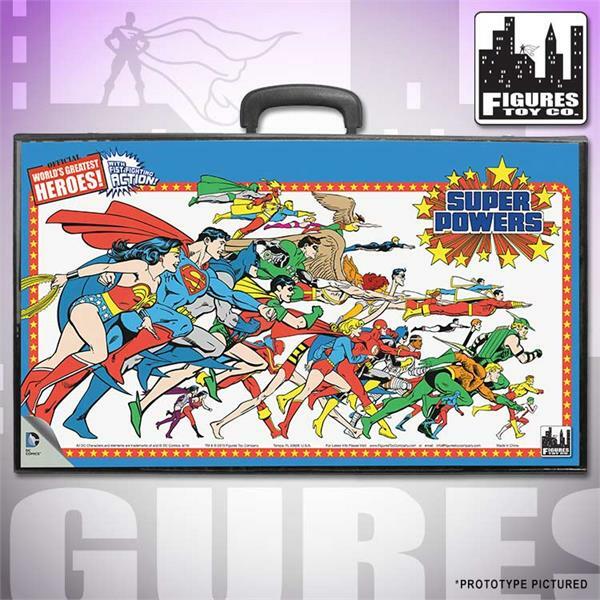 Even though a variety of characters are on this carrying case, I don’t consider this a true indication of what’s coming. There are some random characters in that stock art. Keep in mind that I made a point on my own list of not including any unproduced figures already announced — officially or unofficially — like the Flash, Green Lantern or Hawkman. Most of you adhered to that — with the exception of one significant character. In the interim, by the way, FTC released to us the first looks at three new figures — Harley Quinn, Mary Marvel and the Scarecrow. Check them out if you haven’t yet. ONE BIG, MASSIVE CAVEAT: None of this means that Figures Toy Company will do any of this. But I will say they’re a company that listens to what fans want, so it’s really important to have your voice heard. Now, my 13 QUICK THOUGHTS on your choices. Read and discuss. 1. I had Dr. Fate at the top of my list — and so did many of you. I think it’s because he’s such a great-looking design and he’d lend himself well to the Mego treatment: primary colors, simplistic design for the outfit and a helmet that looks great in plastic. 2. Fishnets are popular. Black Canary got a lot of support, Zatanna to a lesser degree. A classic Bronze Age Black Canary would probably sell very well, I agree. I’d certainly pick her up. 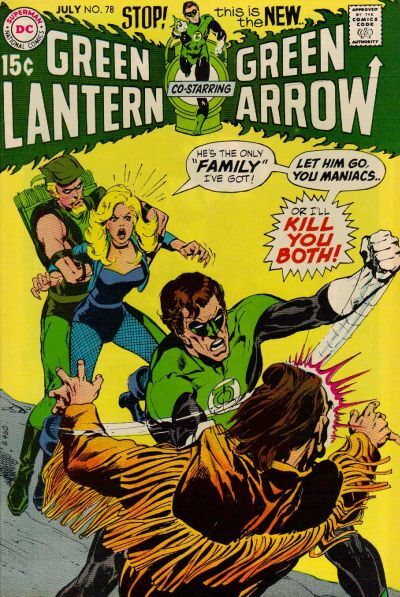 Plus, with Green Arrow and Speedy already in the fold and Green Lantern teased in trade art, you’d pretty much be able to re-enact Denny O’Neil and Neal Adams’ classic run. Without the heroin, hopefully. 3. Speaking of Green Lantern, I think a great Wave 1 would be GL Hal Jordan (second-costume version), Black Hand, Evil Star and Hector Hammond — little body, big head. Eventually, I’d want Sinestro but FTC has been leery of repeating a lot of the figures Mattel produced as part of its Retro-Action line. 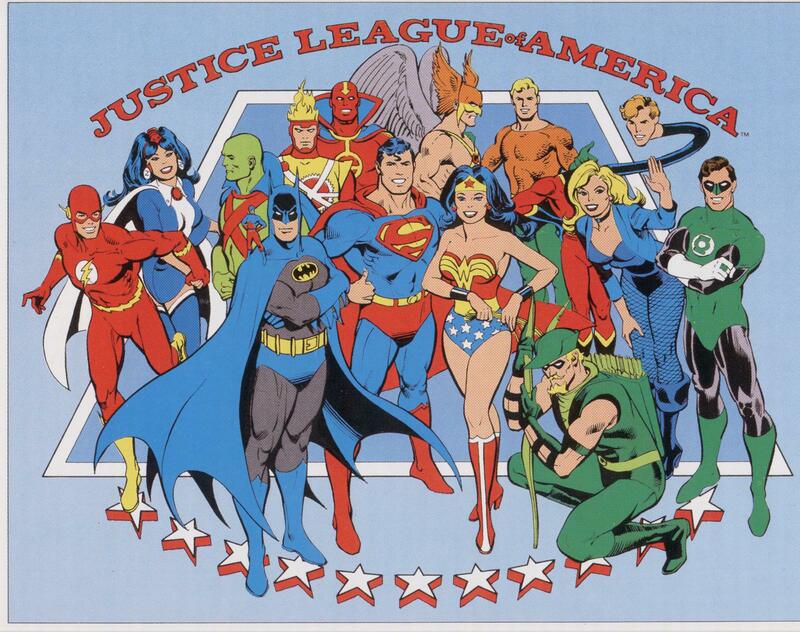 But the good thing about GL is you can produce the GL Corps, like John Stewart, Tomar Re, Abin Sur, etc. This is just something I wanted to mention. 4. Now, like with Green Lantern, I made the point in my first column of not including anyone officially or unofficially announced already. 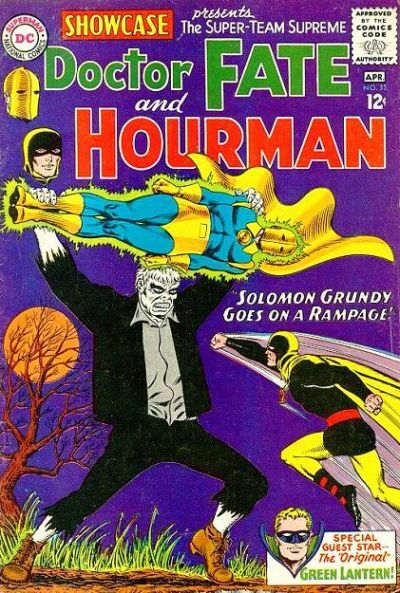 But that didn’t deter you from throwing in with Hawkman. In fact, for a guy who has a hard time carrying his own comic, he got a lot of support — nearly as much as Dr. Fate. Many readers wanted him with Hawkgirl (naturally). There was also substantial support for Katar Hol’s best bud, the Atom. Now, the Atom is interesting because, what size would he be? 8 inches? The smaller-size figure? 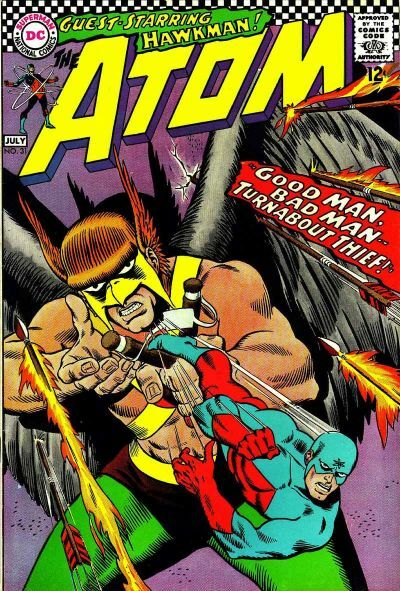 One reader astutely suggested that Hawkman come with a mini Atom. Same goes true for a full-size Atom, I suppose. Thing is, FTC hasn’t really been including accessories with their figures, with some obvious exceptions. 5. Black Lightning was suggested and he’s now officially 13A on my original list. A great idea. 6. 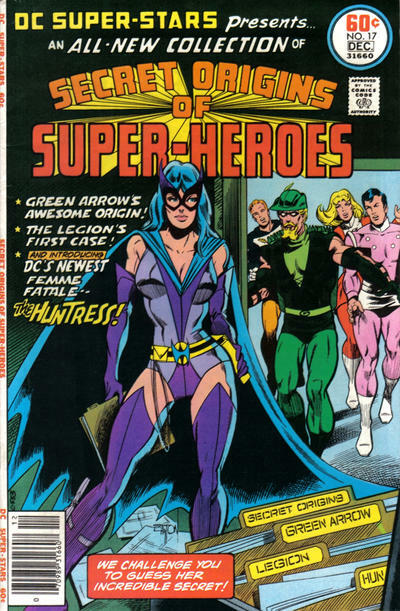 On the Earth-2 front, Huntress carried the day. But I was really happy to see the support for Earth-2 Robin, both varieties. 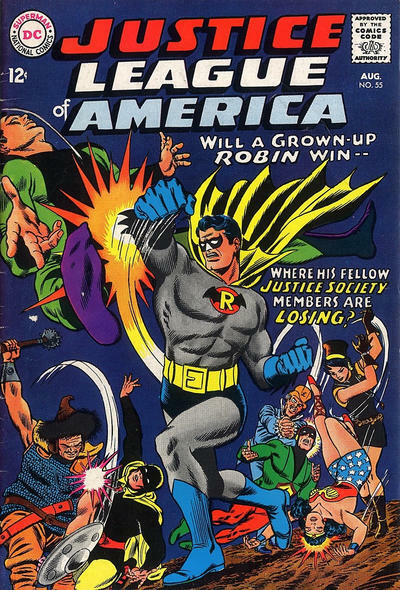 I really think Silver Age Earth-2 Robin is especially a slam dunk — because the costume is so close to Batman’s, Figures Toy is already 75 percent there. 8. Readers tended to stay in the Golden, Silver and Bronze Ages, which I suppose is natural with Megos. 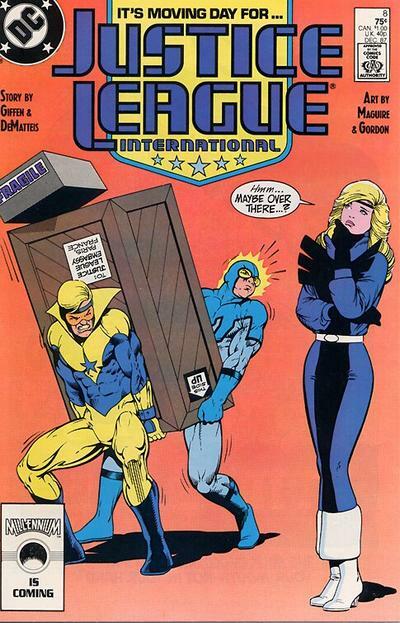 Outside those time periods, Booster Gold and Blue Beetle probably stood out. And I can totally see that. Those characters would lend themselves really well to the Mego treatment — both aesthetically and spiritually. Please, no, not that Black Canary outfit. 9. Whenever you do something like this, you’ll get suggestions that are highly implausible. No exception here, but it is fun to list some of them. 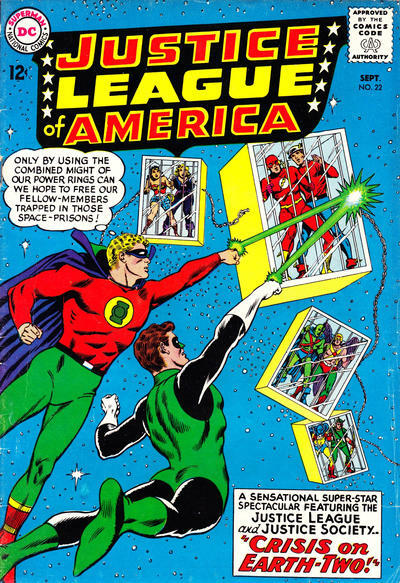 And, no, none of these got more than one mention: Commander Steel, Robotman, Ragman, Uncle Sam, Lilith, Mal, “the whole Legion,” the Seven Soldiers of Victory, Scalphunter and Liberty Belle. There were others. But I think my favorite was Steve Trevor as Captain Wonder, which would be pretty rad. 10. 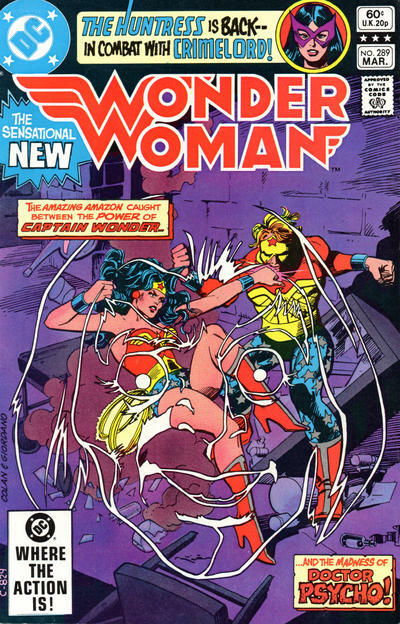 Great idea, unlikely to happen: Wonder Woman’s Invisible Jet. 11. TV and movie properties: Because of licensing issues, this is complicated but Lynda Carter Wonder Woman and Zod, Ursa and Non from Superman: The Movie were mentioned. 12. Some Batman villains were suggested but the one that hit me between the eyes was Killer Moth. I’m kind of embarrassed that I never thought of him before. 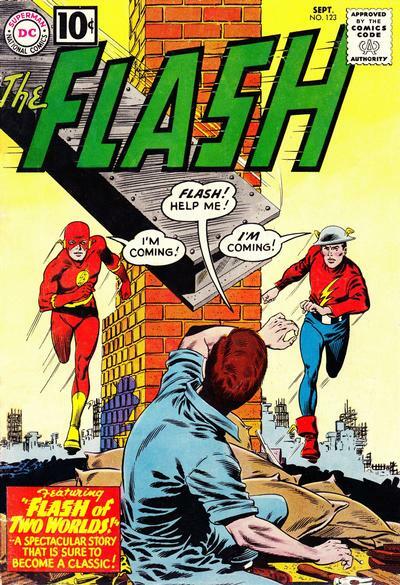 That guy just screams Mego, with the silly outfit and helmet. 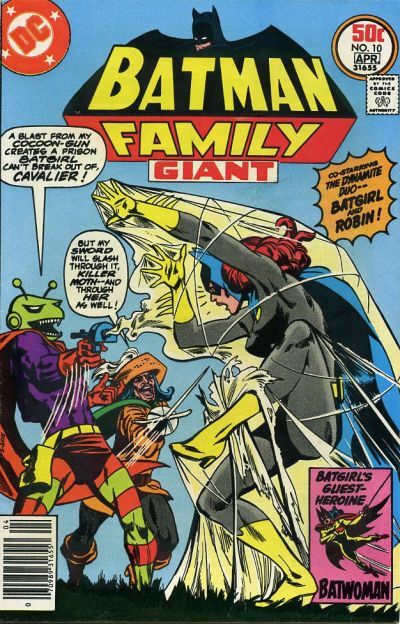 Plus: He was Batgirl’s first adversary, so Babs would finally have her own villain. Speaking of the Batman line: People want a better Catwoman. The green-and-purple dress version was the one that people specified and I’d have a hard time arguing that one. 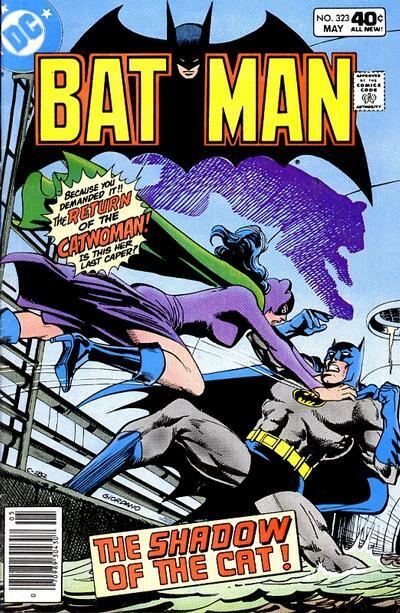 On the other hand, I could see green Catwoman sneaking in, since FTC is still likely to produce the TV Catwoman. Some similarities in costuming there. Deadshot is an excellent choice, I agree. I think if I had made this just about Batman, he would have gotten a lot of support. 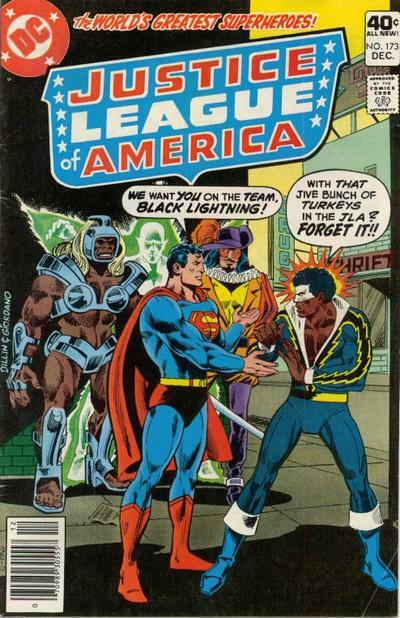 But by keeping it wide, most people went with big Silver/Bronze Age heroes and Earth-2 characters. Mary Marvel would be nice, And not the travesty I have seen pictures of recently.